Tim launched into Real Estate in 2003 and that same year he was honored to receive the “Rookie of the Year” award from Keller Williams. Many years of hard work and dedication to his trade have now vaulted Tim into the Top 100 Orange County Realtors® and the #1 National Performing Agent by volume 2017. Tim has a strong local network and a deep knowledge base. As a true South Orange County Native (born and raised in Laguna Niguel), Tim has a tremendous advantage against his competition. His roots are deep here in South County and that means a lot in an industry like Real Estate where local knowledge is invaluable. Tim graduated from Dana Hills High School and UC Santa Barbara. Baseball kept Tim on track through High School, Saddleback College, a short stint with UCSB and the Atlanta Braves Scouting Team. Shortly thereafter, Tim obtained his Teaching Credential and a Masters Degree in Education from CSSB. Tim taught Economics and History in the Capistrano Unified School District and coached high school baseball for several years at Aliso Niguel High & Dana Hills High Schools prior to entering real estate. Tim has been happily married for over 17 years to his lovely wife Jaime. Together they have 2 active boys (Ryan 15 & Tyler 13) and they are welcoming a new baby boy in early 2019. When Tim isn’t hustling between listing appointments, showings or an open house, you might find him at a sports court, at the beach “catching a wave” or on the court playing a game of hoop! 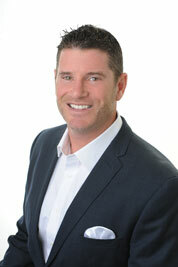 Tim stays in stride with a smooth sense of realism and a tenacity to “get-It-done” for his client’s!